Workshop Details: This workshop is hosted by UC Berkeley’s Center for Emerging and Neglected Diseases (CEND) through their Alliance for Global Health and Science program. It will be held at the Mulago Campus of Makerere University in Kampala, Uganda. Graduate students, postdocs, lecturers and professors in a health science/biology program or field. You can apply to any of the workshops. Workshops are concurrent so you can only attend one. Students will learn the history of molecular cloning – the synthesis of recombinant DNA – including classical restriction enzyme cloning, as well as the latest technological advancements in field such as Golden Gate cloning, Gibson cloning, and SLiCE cloning. Students will learn how to use software to design and synthesize DNA constructs containing their gene of interest into an expression vector. We will then perform the standard protocols for molecular cloningPCR amplification of DNA of interest, gel electrophoresis, gel extraction/ DNA purification, DNA assembly, bacterial transformation, and sequence validation of the newly synthesized plasmid. Students will learn about the properties and uses of fluorescent proteins in molecular and cell biology as we use GFP and RFP as examples of genes that can be cloned into vectors and used as tags. We will then finish the workshop focusing on an advanced technique known as CRISPRi, to demonstrate how molecular cloning techniques learned in the course can be used to repress the expression of a gene of interest. The workshop will focus on the expression, purification, and quantification of Phusion DNA Polymerase. The methodology of protein engineering will be discussed, including plasmid design and the transformation of DNA. Students will first gain experience in preparation of competent cells and Phusion plasmid transformation. We will then induce Phusion DNA polymerase expression and employ purification techniques to isolate the enzyme. Students will be instructed on how to prepare an SDS-PAGE gel for analysis. With the protein product, we will learn to assay for enzyme activity. Throughout the workshop we will discuss various protein purification techniques. We will finish with discussing the properties of Phusion DNA polymerase, and learn about its usefulness in the laboratory. The workshop will focus on the isolation and preparation of primary mouse samples for analysis using flow cytometry. Students will learn how to isolate spleen, lymph node and blood samples and will perform both cell surface antibody staining and intracellular staining for transcription factors and cytokines. 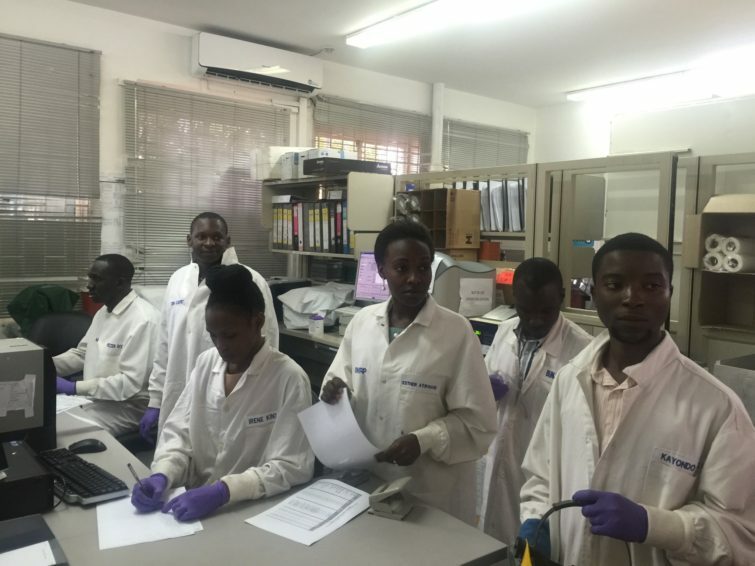 The students will learn the basic concepts of flow cytometry and will run their samples on a flow cytometer. Additional techniques will include enrichment of naive CD4 T cells from a mouse spleen using magnetic beads, and ex vivo cell culture for differentiation into Th1 and Th2 CD4 T cell subsets. 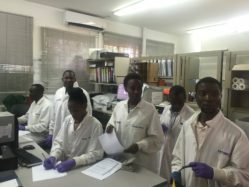 Students will also learn the concept of compensation for flow cytometry, and will gain experience in analyzing and presenting flow cytometry data using an open source flow cytometry analysis software. This workshop will build on my experience as a teacher, chair of an NIH study section, organizer of several international meetings, editorial board member, and company founder to provide tools that allow scientists to communicate effectively with different target audiences. We will discuss how to develop different types of scientific presentations (i.e. elevator pitches, short talks, featured presentations or seminar talks), scientific communication with an informed lay audience (i.e. potential funders of academic or biotech research), and outreach communication (i.e. talks at schools, interactions with politicians). We will also delve into effective presentation to grant committees (i.e. focus and depth of presentations, targeting the right granting agency etc), as well as to journals (i.e. how to select and approach the proper journal; how to develop a manuscript for particular journals). Together, this workshop should provide an in-depth interactive approach to enable students to effectively present their scientific results to the best and largest possible audience. This workshop will include a rich collection of lectures and hands-on sessions, covering both theory and tools associated with command-line DNA variant analysis. Participants will explore experimental design, cost estimation, data generation, and analysis of DNA sequence data generated on the Illumina sequencing platform. Participants will explore software and protocols, create and modify workflows, and diagnose/treat problematic data utilizing high performance computing services. Exercises will be performed with provided datasets, using command-line interaction and R.